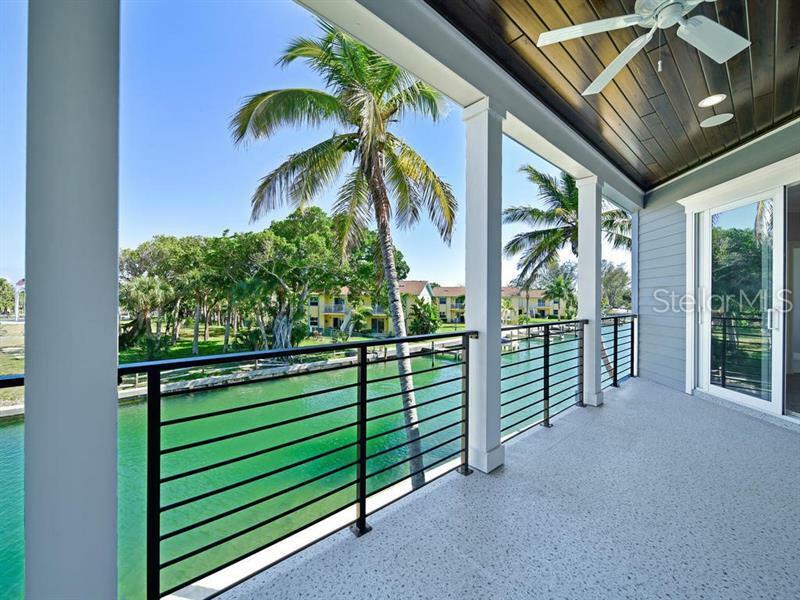 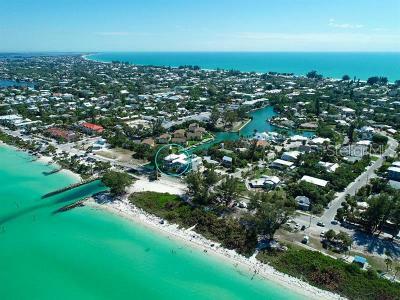 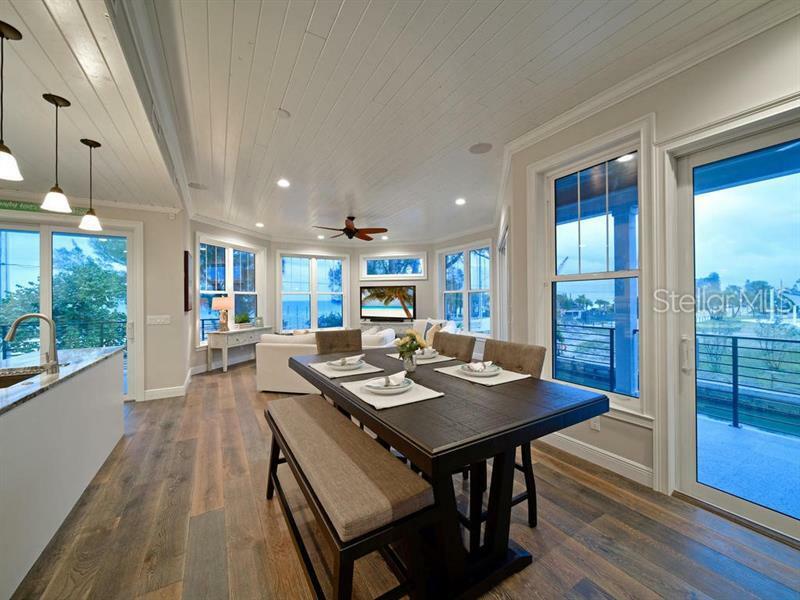 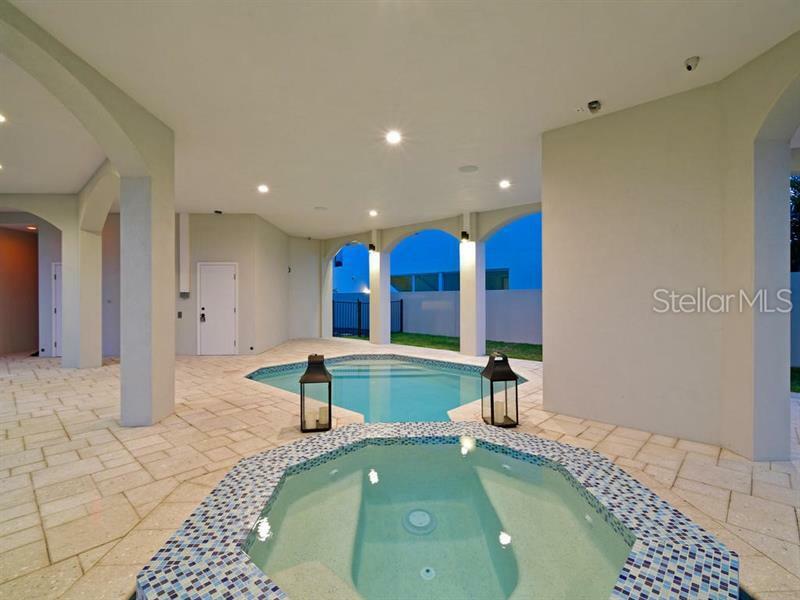 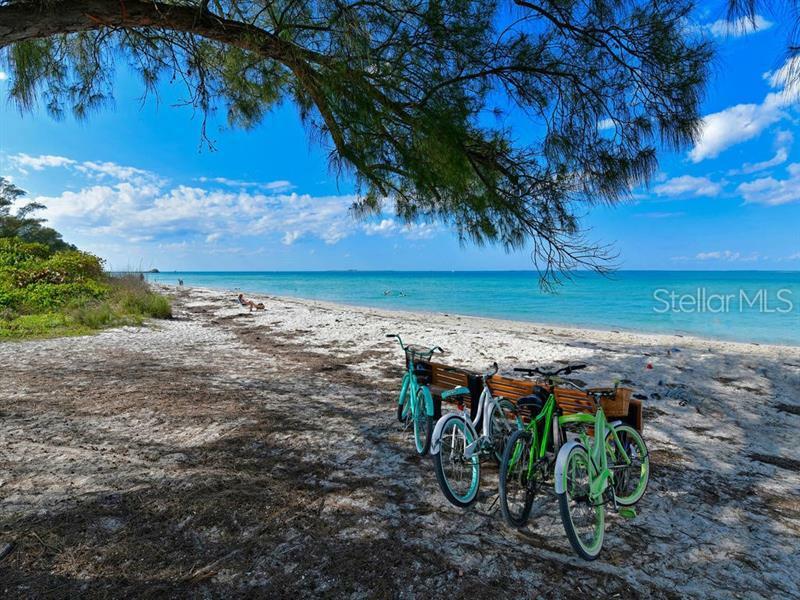 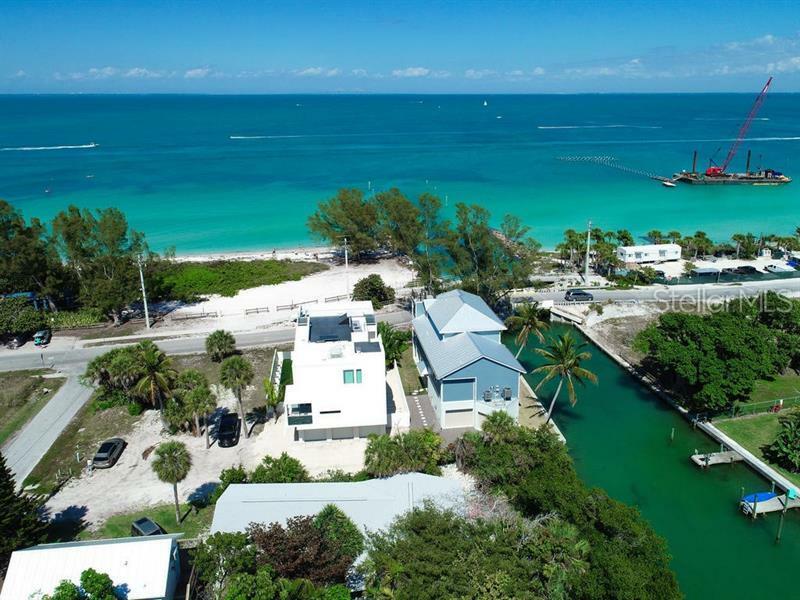 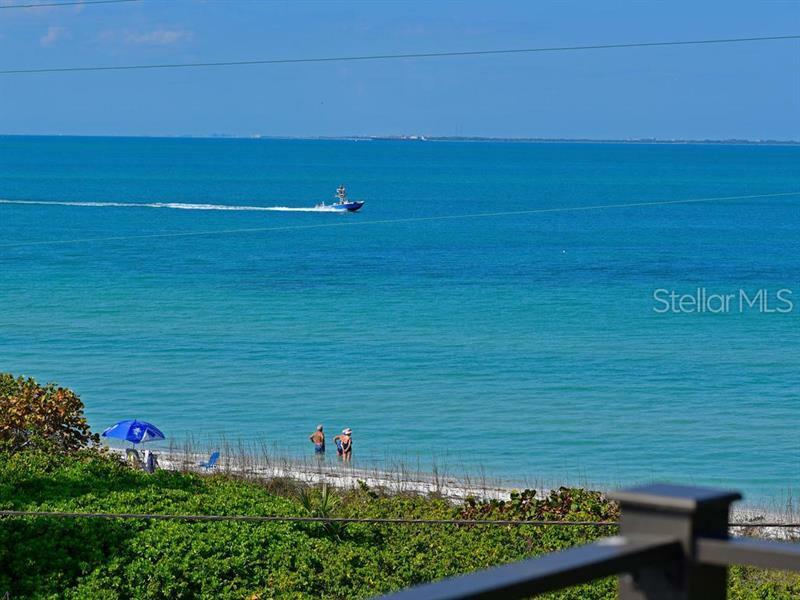 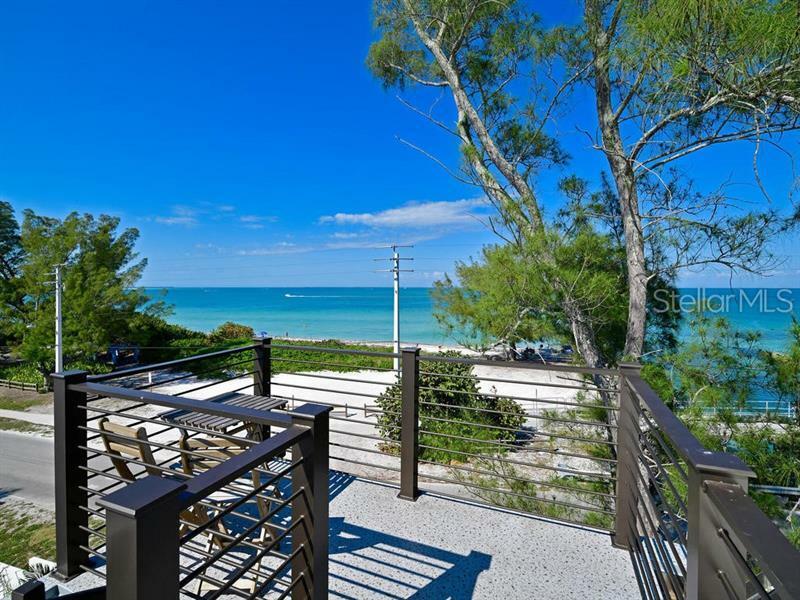 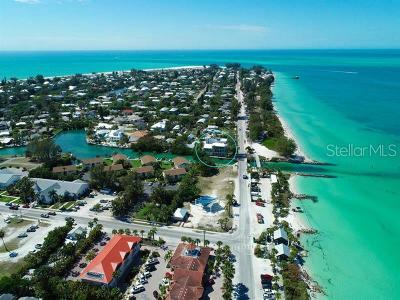 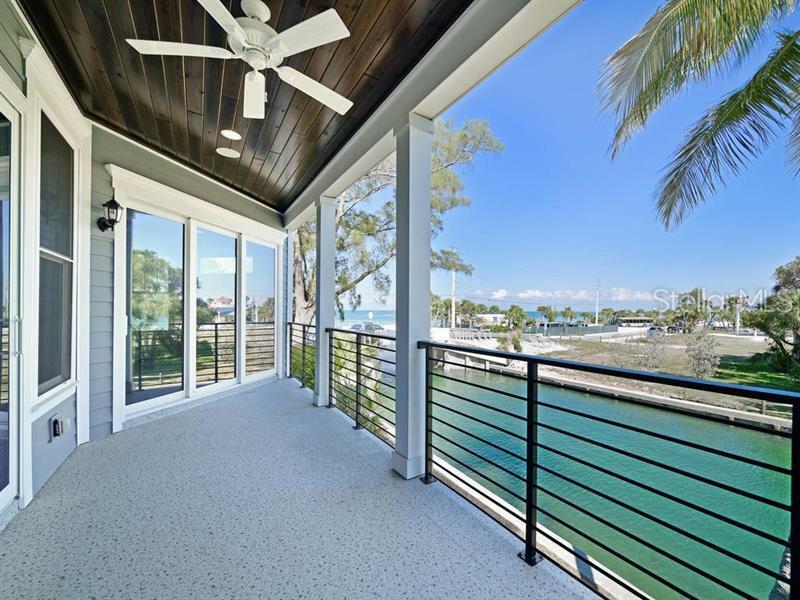 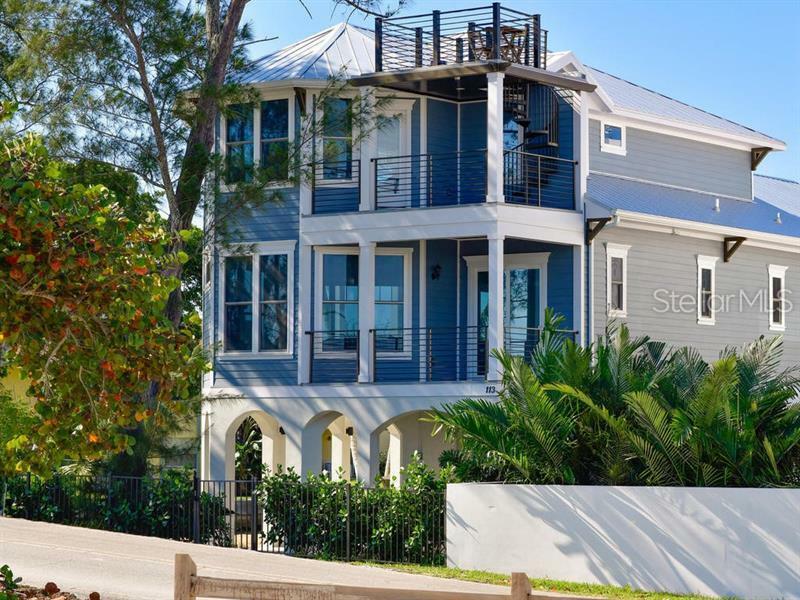 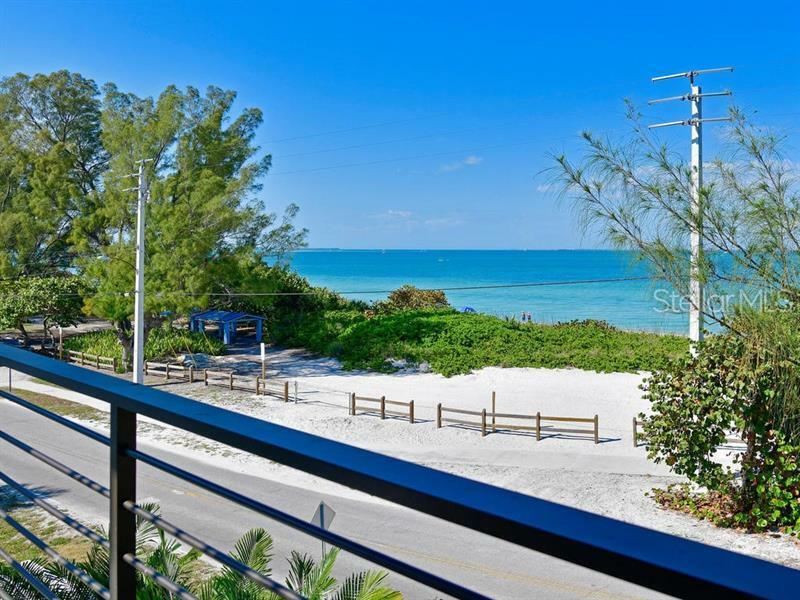 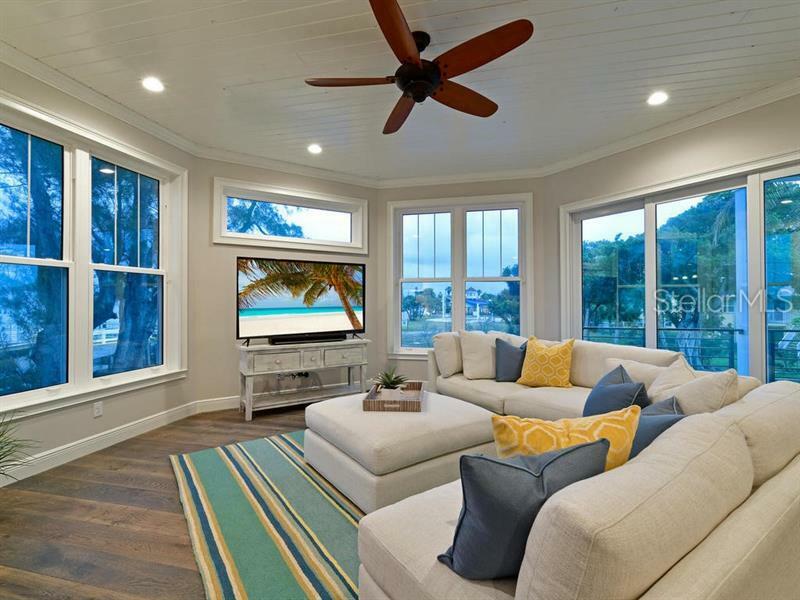 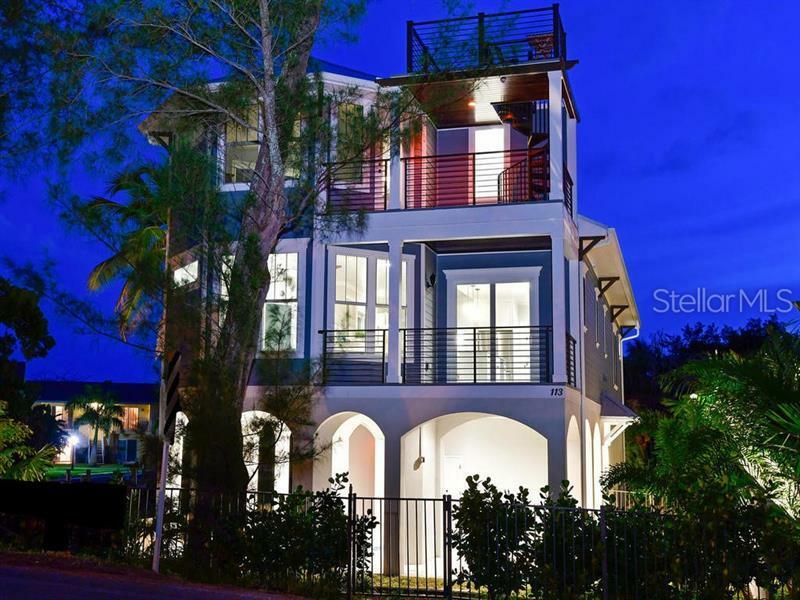 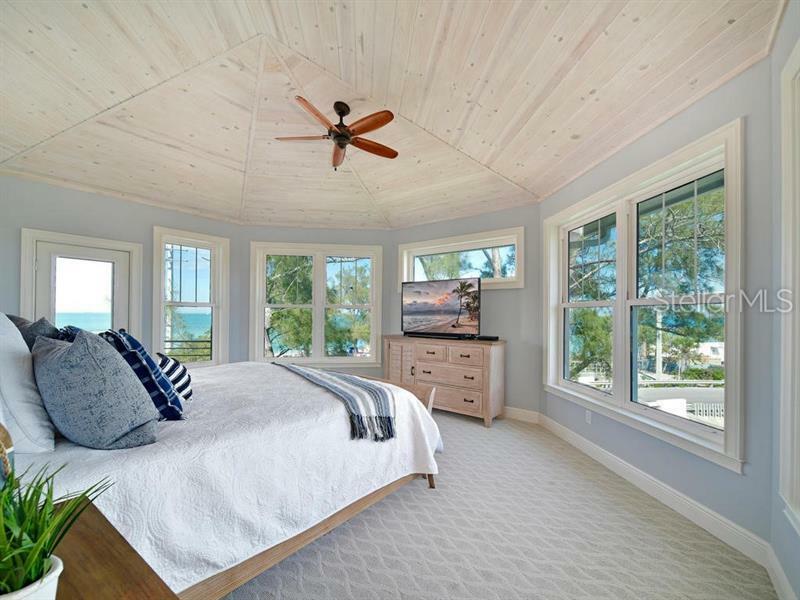 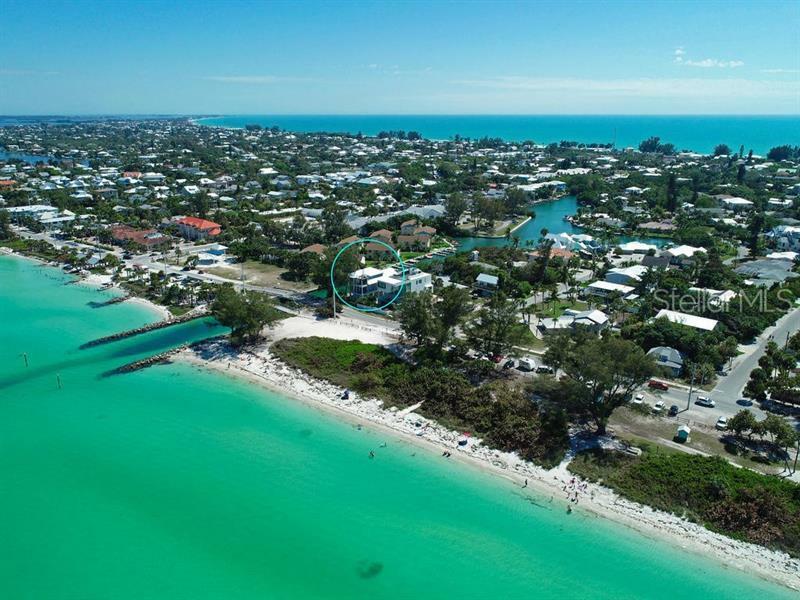 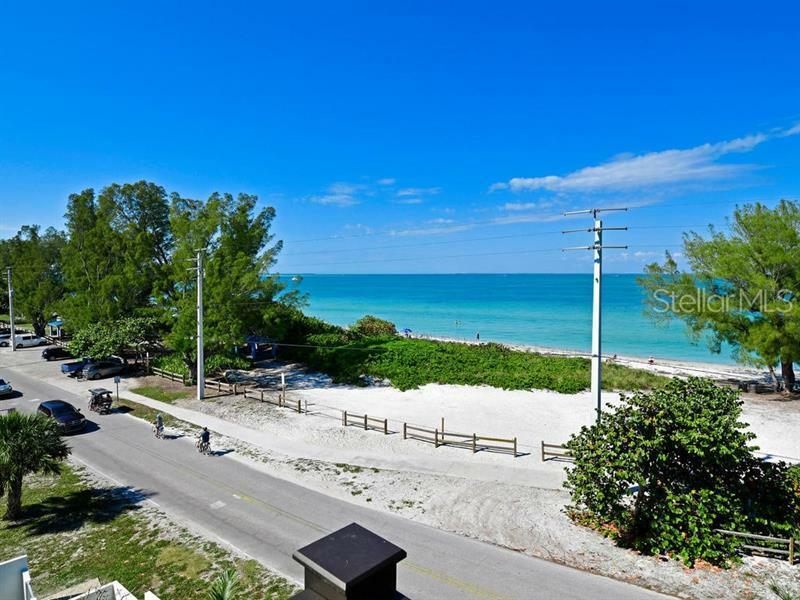 Magnificent BRAND NEW construction in the heart of Anna Maria with dramatic water views from virtually every room!! 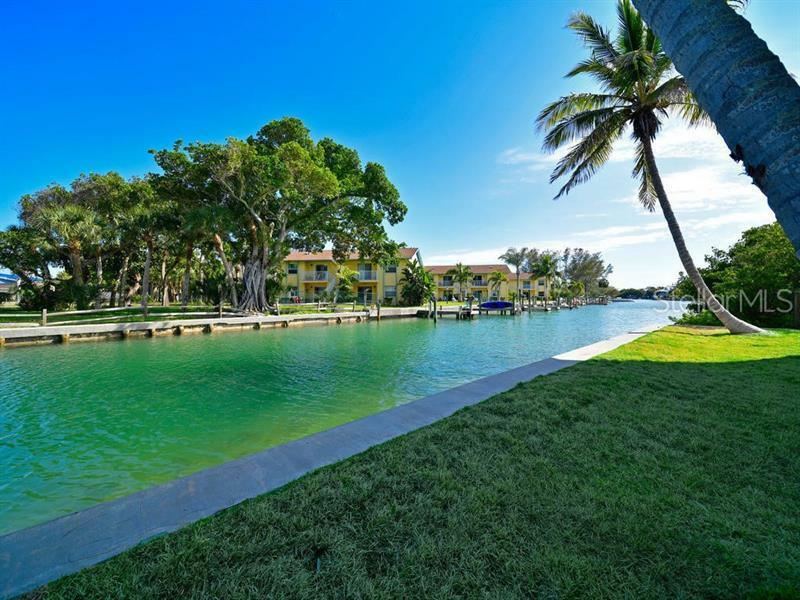 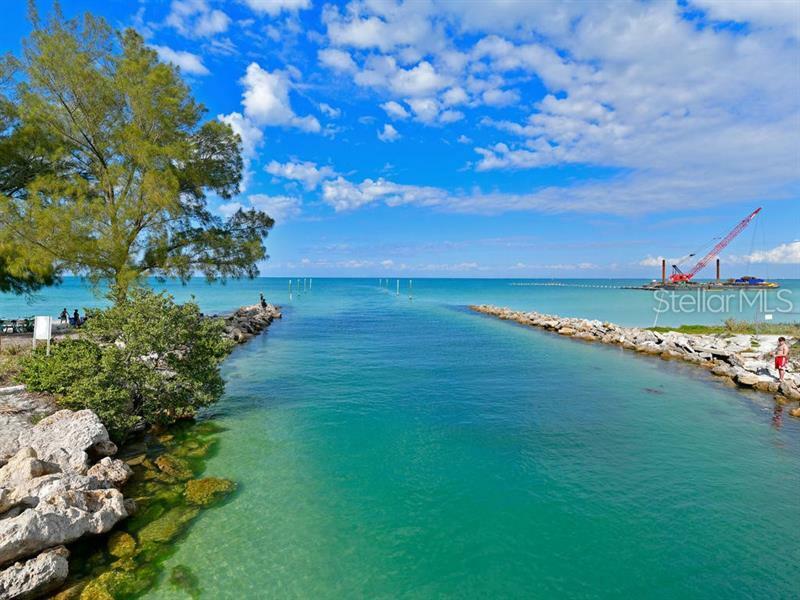 Located on a canal with 110 Feet of Seawall and Plans for a Boat dock! This is your chance to have it all! 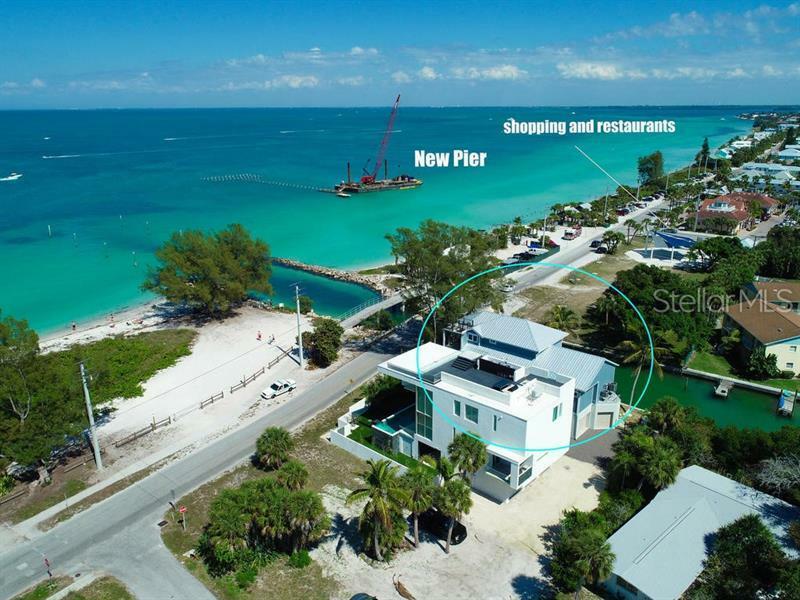 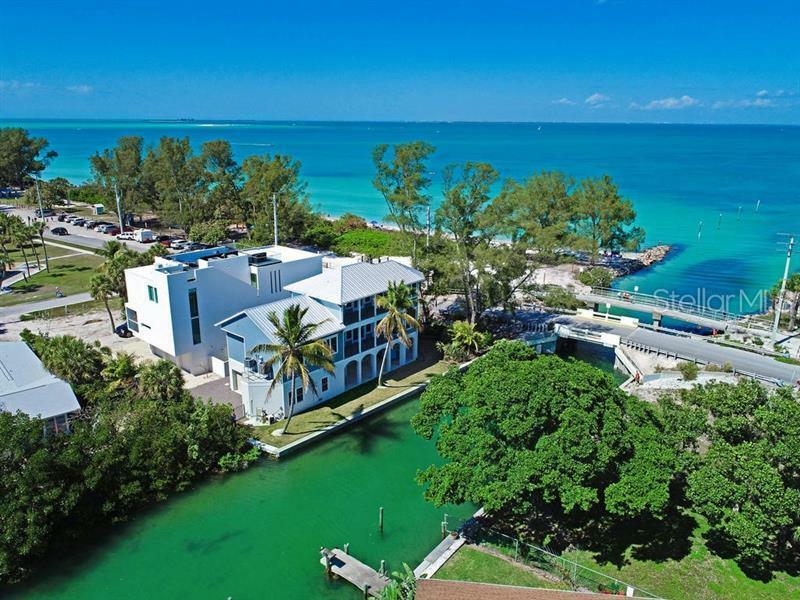 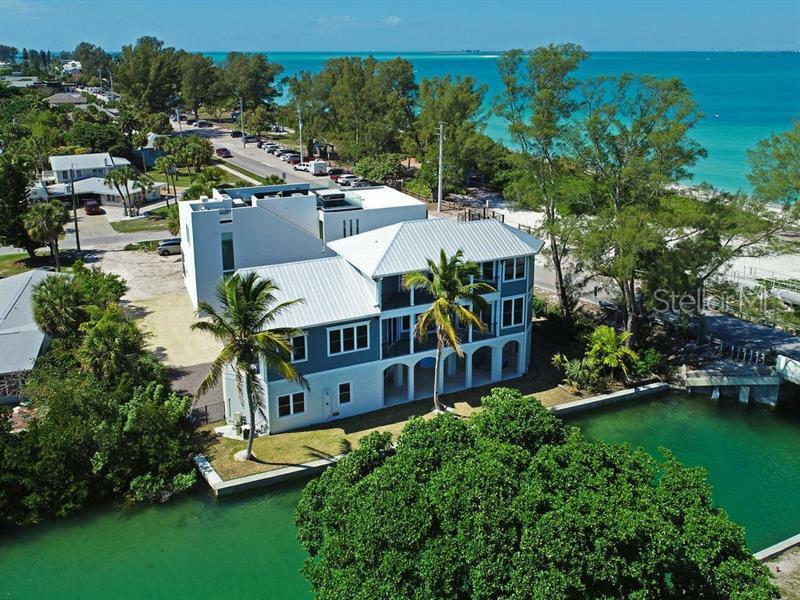 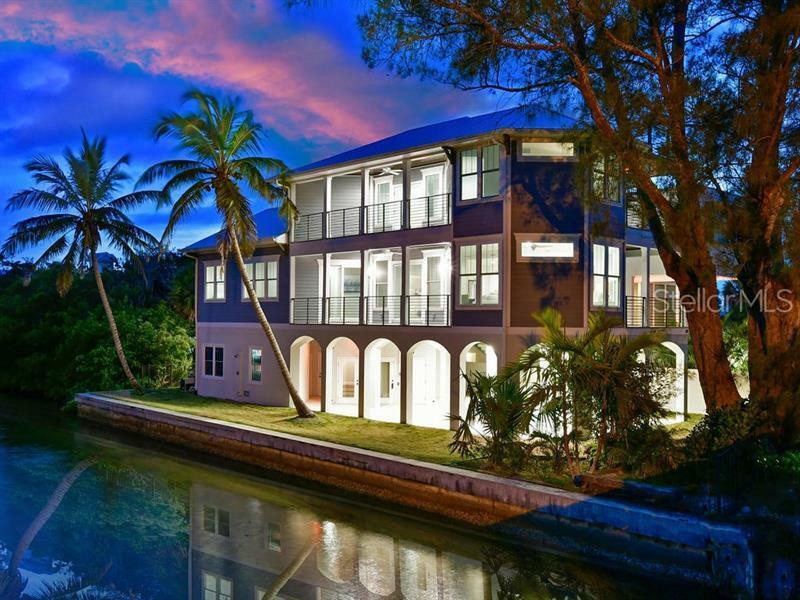 This island home is on a canal with the sandy beach across the street and across from the New pier being built! 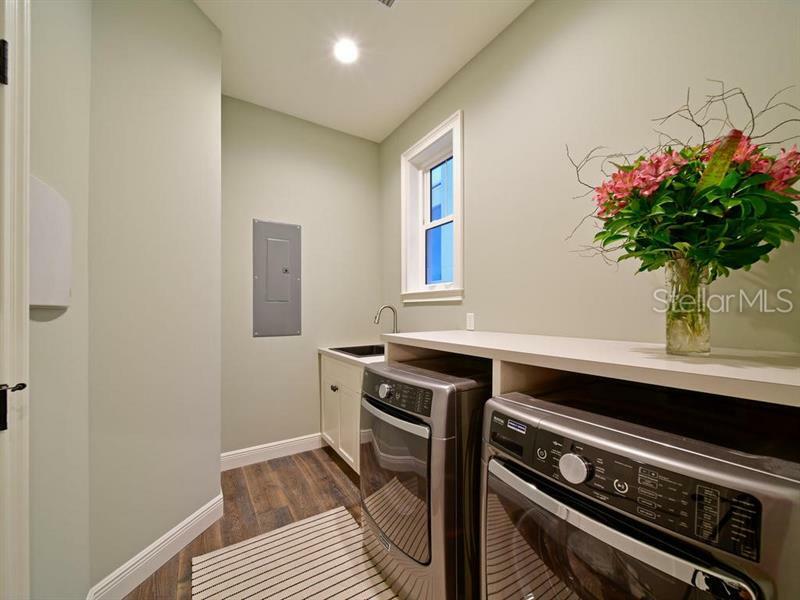 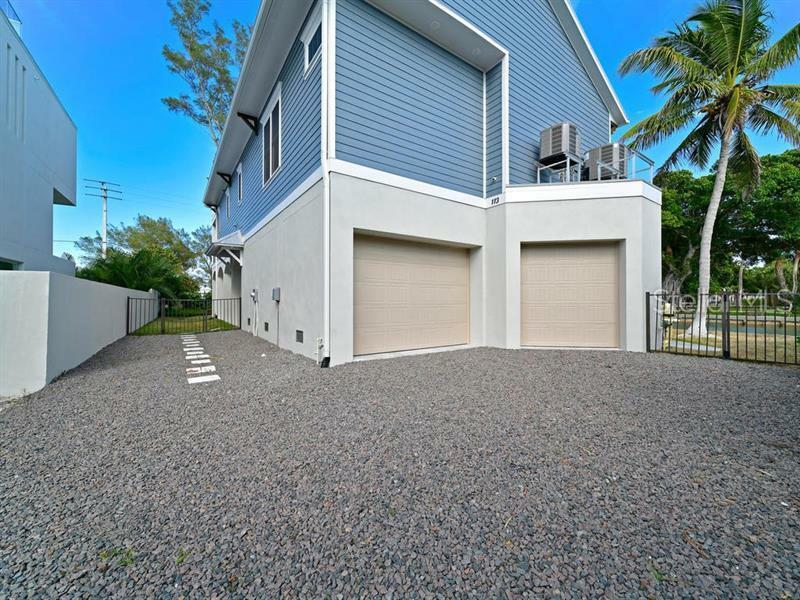 Elevated and custom built, this home boasts three spacious bedrooms, DEN, two and 1/2 baths, ELEVATOR, spacious kitchen, great room plan, large laundry room. 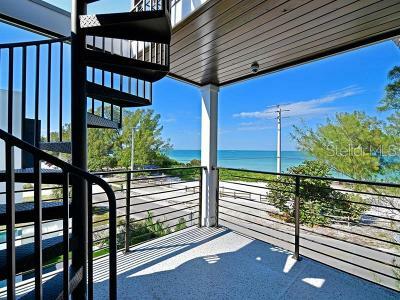 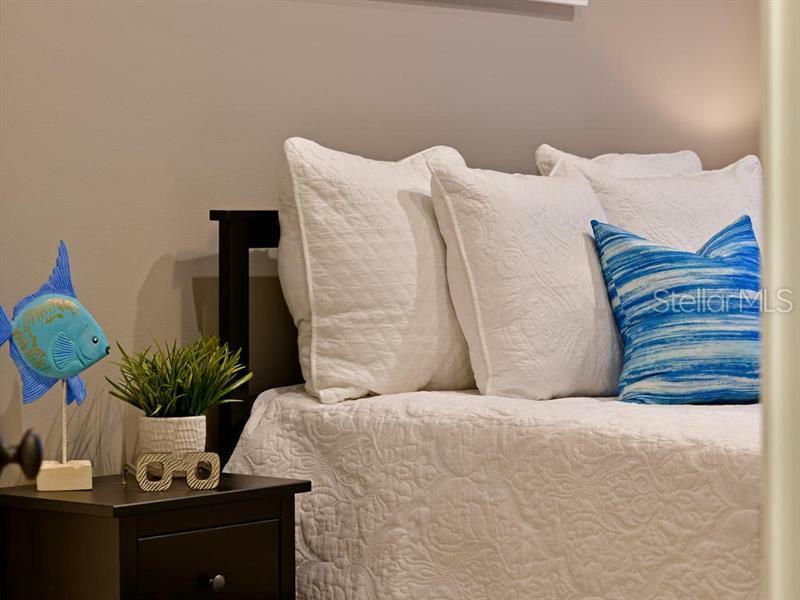 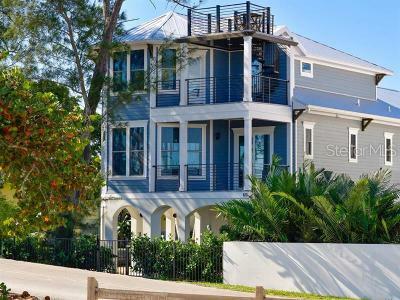 In addition, this dream beach home offers a true in-door/out-door lifestyle thanks, and multiple balcony spaces with 3/4 inch glass on every level, crown molding, and central vacuum. 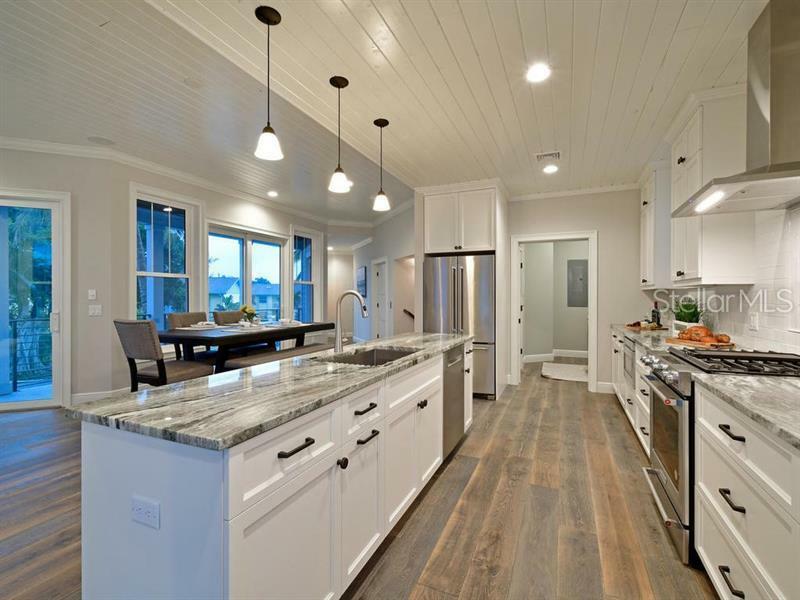 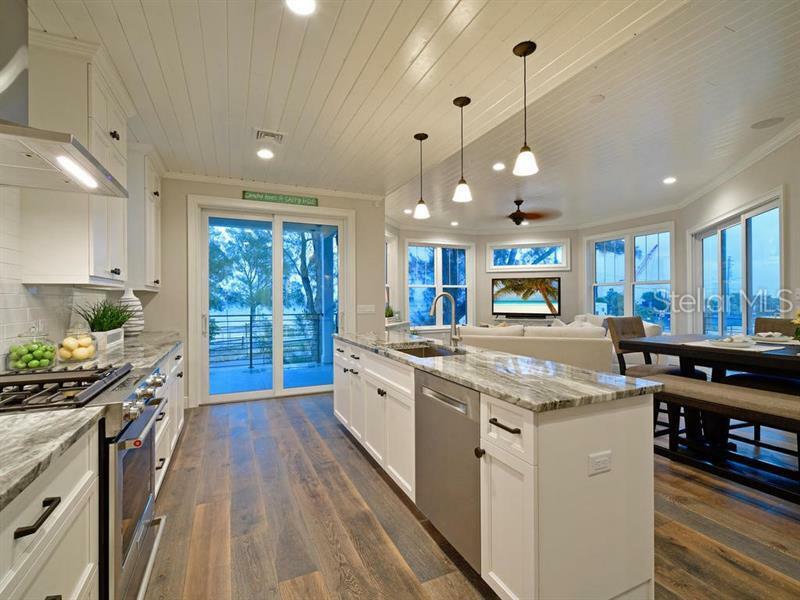 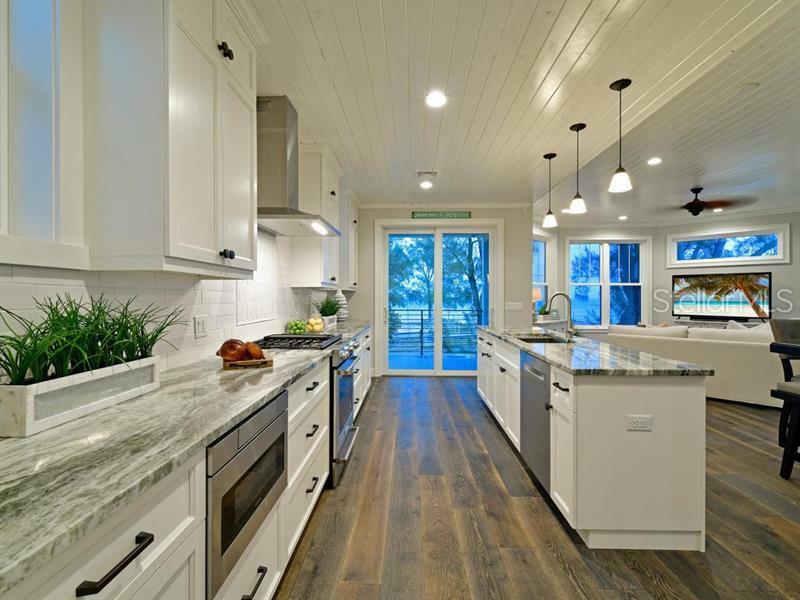 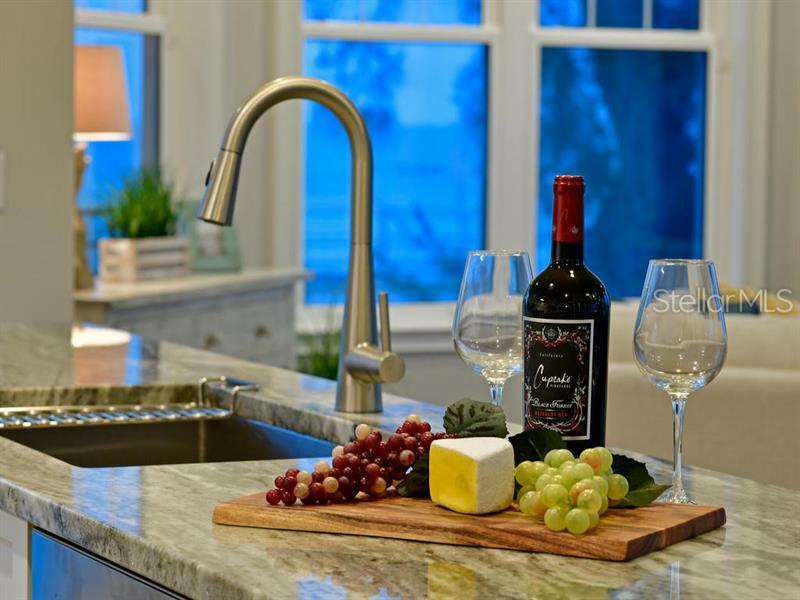 The large gourmet kitchen features spectacular water views, granite countertops, large island, extensive custom cabinetry, top of the line gas range, and stainless appliances, a large adjoining laundry room with sink and pantry plus counter tops for folding space. 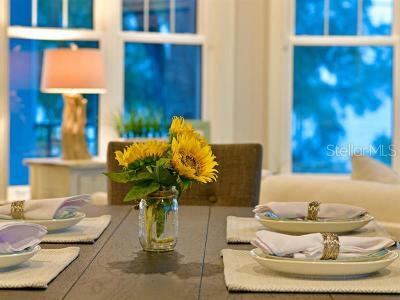 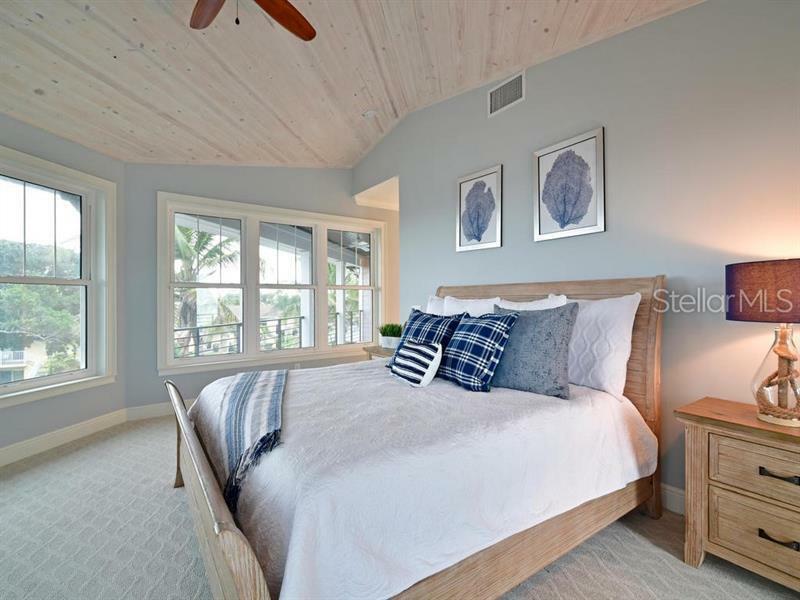 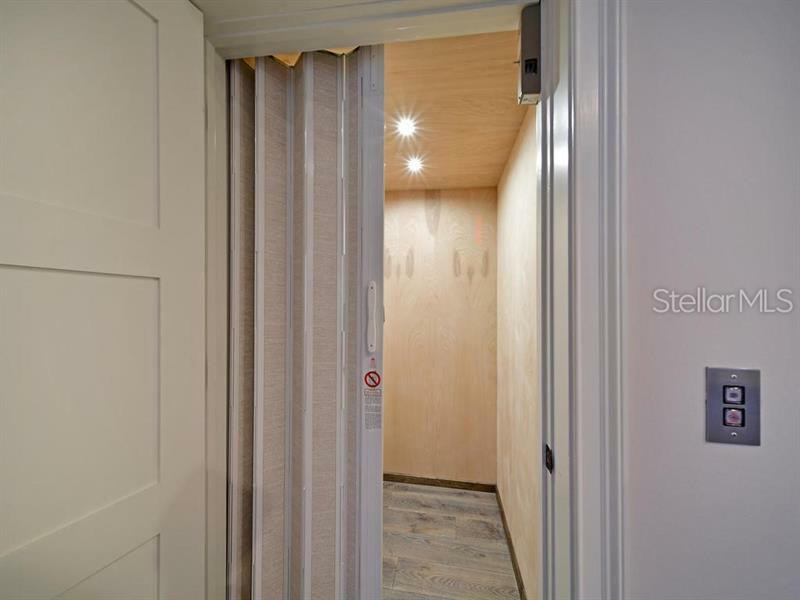 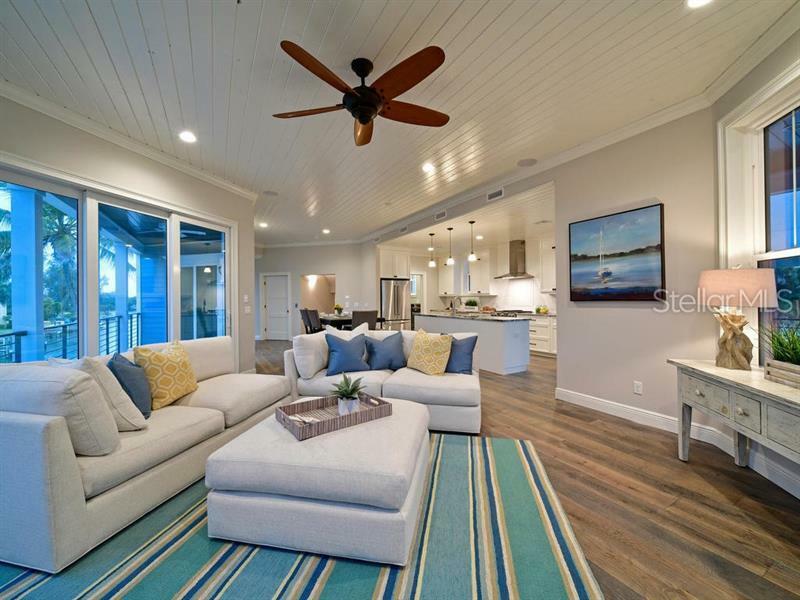 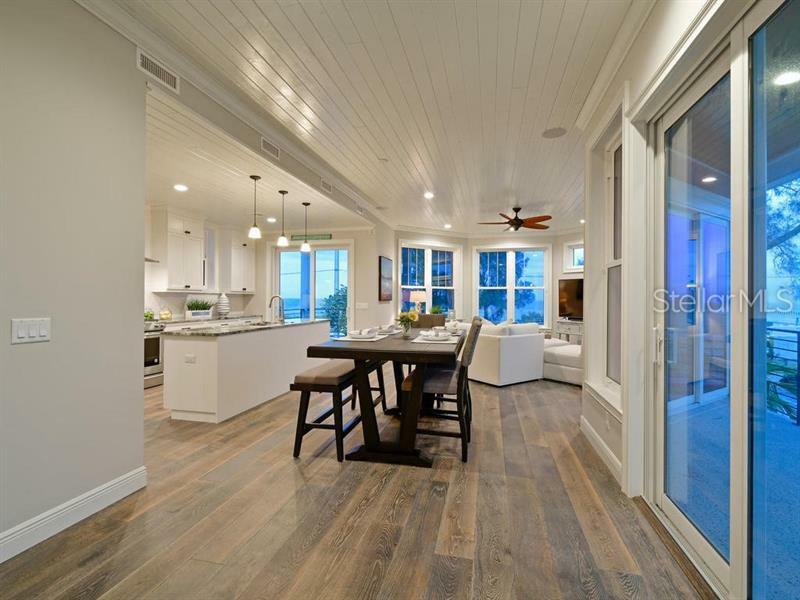 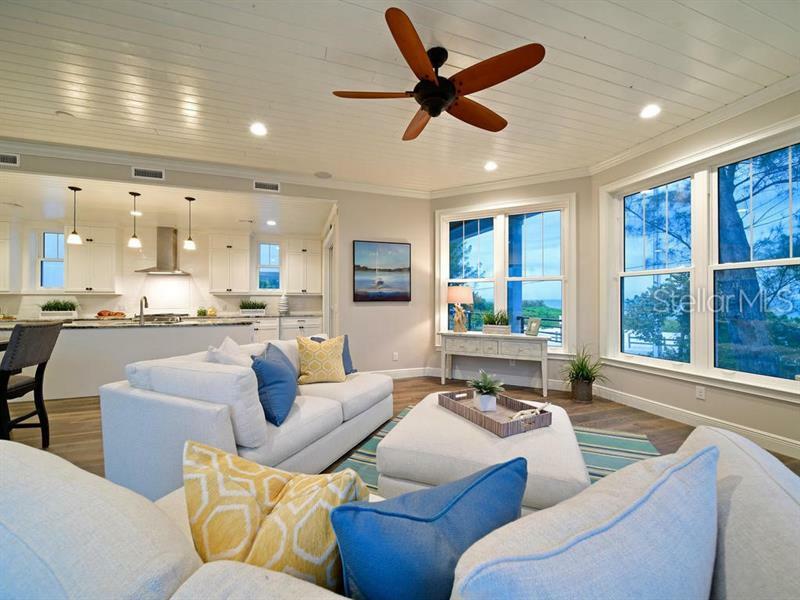 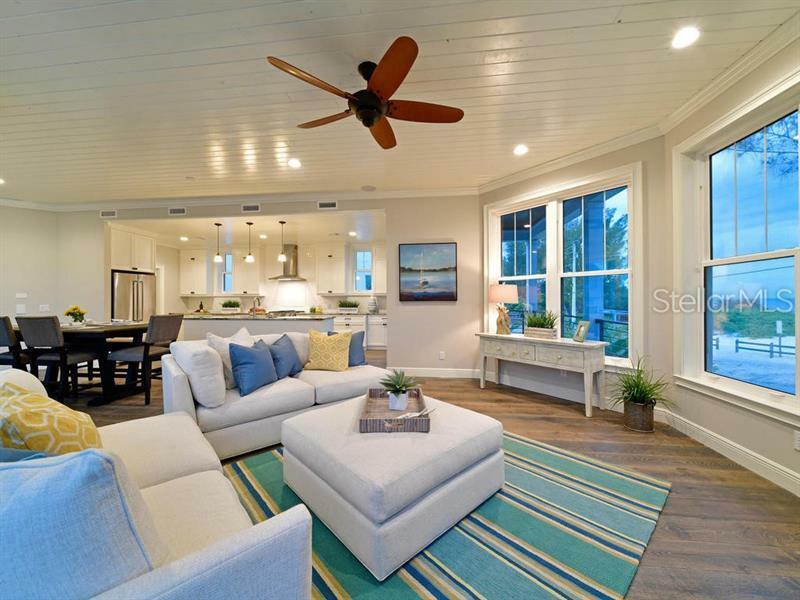 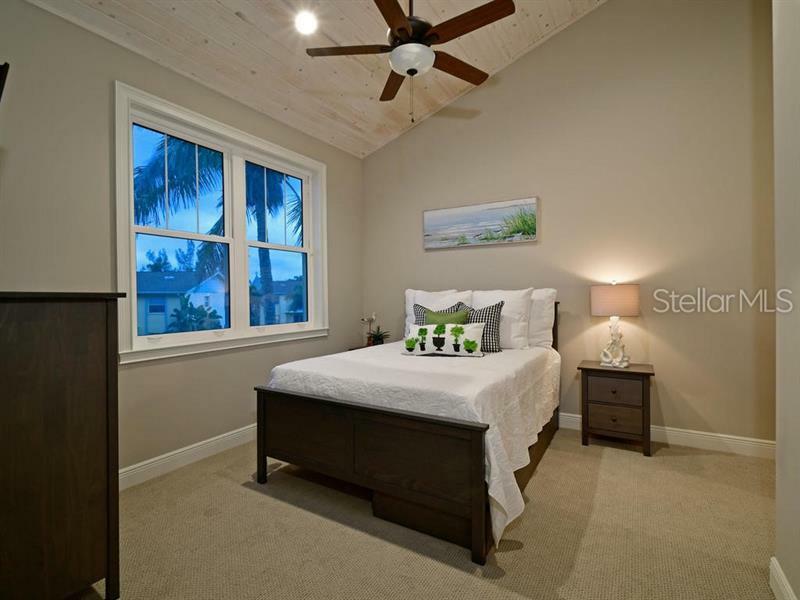 Stunning floors throughout, exceptionally detailed wood vaulted ceilings with Coastal vibes. 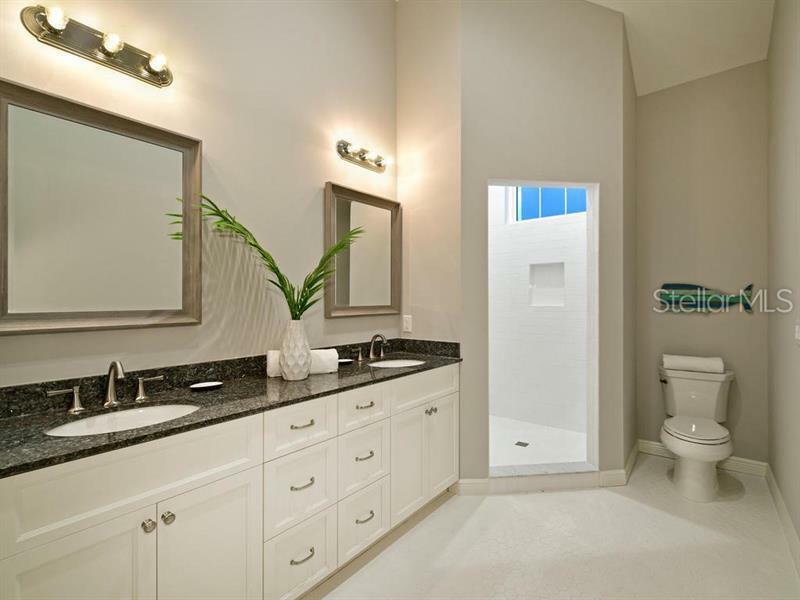 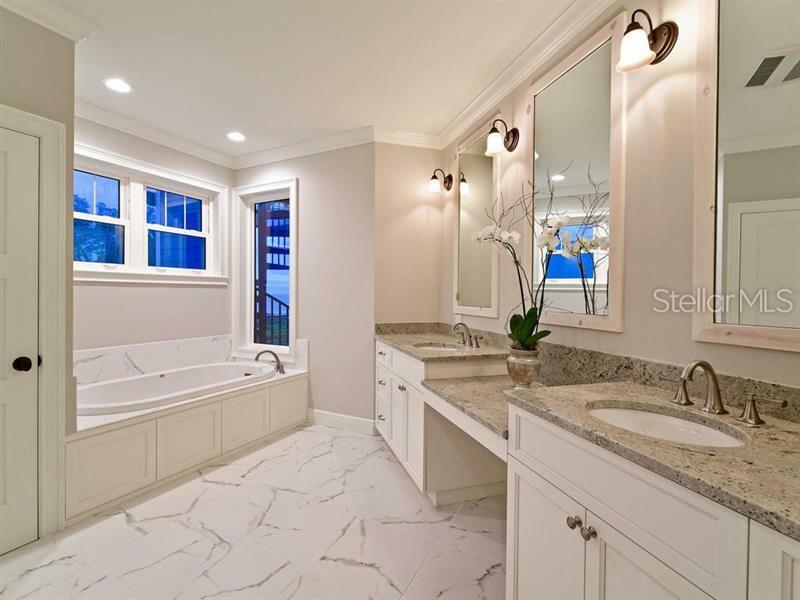 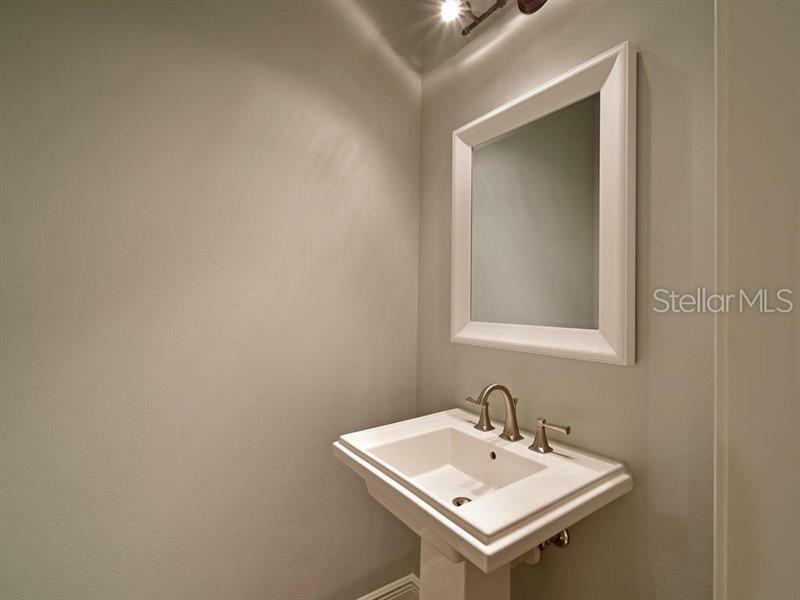 The master suite offers luxurious living space, stunning ceilings, master bathroom boasts, dual sinks, granite counters, and BONUS, a heater to dry you after your luxurious bath In the huge soaking tub! 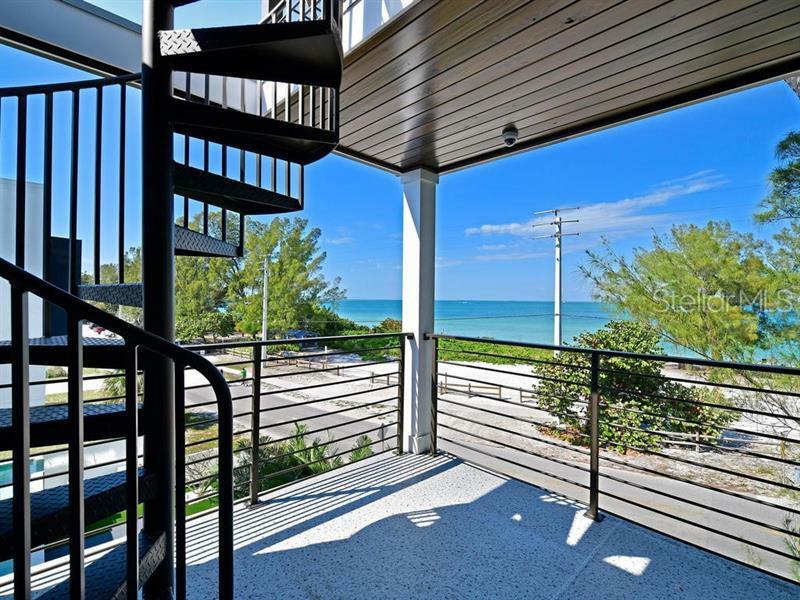 FAB spiral stairs lead to a roof top balcony with endless views. 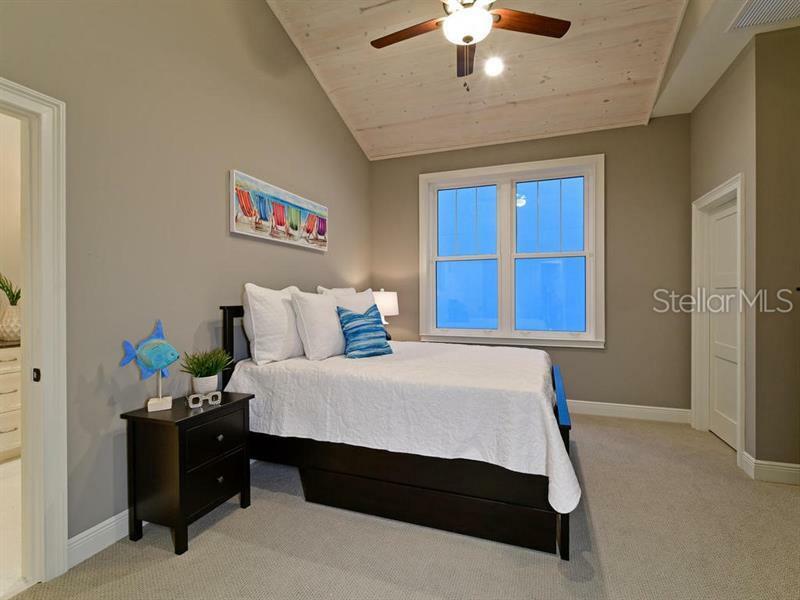 Ac is dual zoned, upstairs & downstairs control with 30 seer, top of the line AC's, creating optimal energy source. 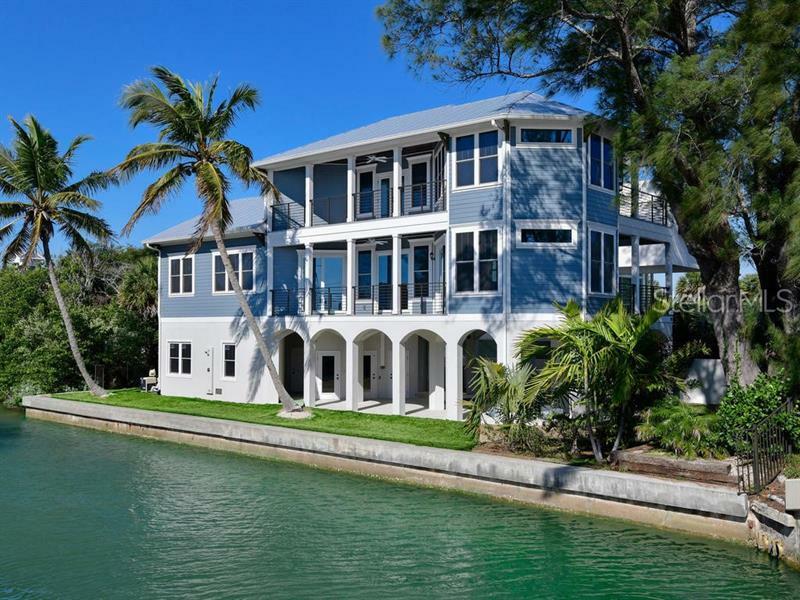 This luxurious beach house also offers a covered saltwater pool, spa, with even more water views.